York University ranks among Canada’s top universities in the arts and humanities, law and legal studies, social sciences, and business management according to the 2018 QS World University Rankings by Subject report released Feb. 28. In the QS World University Rankings category of Social Sciences and Management, York University ranks in the top five universities in Canada in the subject areas of communication and media studies (#3), development studies (#3), Anthropology (#4), law and legal studies (#4), Politics (#5) and business management studies (#5). The University is also in the top 10 in Canada for accounting and finance (#6), Sociology (#6) and Economics (#9). In the QS Rankings category of Arts and Humanities, York University’s programs in the subject areas of History (#4), and English and literature studies (#5) are in the top five, while Philosophy (#7) and modern languages (#9) are in the top 10 in Canada. The Geography program appeared in the Canadian top 10 in the 2018 QS World University Rankings category of Natural Sciences (#4). 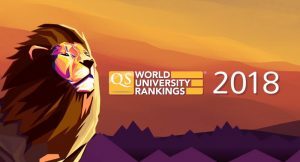 The 2018 QS World University Rankings by Subject report considers 959 universities of the world’s universities using a method that ranks each institution according to 48 subjects using four sources (the weight given to each source varies by subject): Academic reputation through QS’s global surveys of academics; employer reputation through a global survey of employers; research impact based on research citations per paper; and citation productivity and influence measured through an h-index. 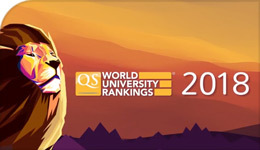 QS World University Rankings is an annual publication of university rankings by Quacquarelli Symonds (QS). It was previously known as Times Higher Education–QS World University Rankings. For more information, visit the 2018 QS World University Rankings by Subject website.